Andrew C. Porter, professor of educational psychology and director of the Wisconsin Center for Education Research at UW-Madison, studies education policy analysis and student and teacher assessment. A former co-director of the Institute for Research on Teaching, he has been a faculty associate in the Center for Organizing and Restructuring of Schools and the Consortium for Policy Research in Education. He has served on numerous national science education panels and is currently chair of the Advisory Council for Education Statistics and a member of the National Research Councils' Board on International Comparative Studies of Education. Robert D. Mathieu is a UW-Madison professor of astronomy. He studies the formation of stars and the dynamics of star clusters. His NSF-funded initiatives in astronomy education have focused on the development of computer-simulation astronomy laboratories for introductory-level students. Within the NISE he is the director of the College Level One Institute, with an emphasis on the synthesis and dissemination of effective teaching practices to undergraduate instructors. He is a member of the UW Teaching Academy and a recipient of a UW Distinguished Teaching Award. Paula A. White, educational policy researcher, assists the director with the management of the NISE including coordinating the NISE Teams, the NISE Fellows Program, and NISE publications and engages in policy studies of systemic reform. Prior to her position at NISE, she served as senior research associate at the Consortium for Policy Research in Education where she conducted and directed research on curriculum reform, effective teaching practices, school-based management, and course-taking patterns. Vicki Bier is an associate professor of industrial engineering and of engineering physics at UW-Madison, where she is director of the Center for Human Performance in Complex Systems. Bier studies methods for probabilistic risk analysis of complex engineered systems such as nuclear power plants. She is also interested in Bayesian statistics and decision analysis, and is concerned with decision making in the face of uncertainty and dependence. As part of a cooperative agreement with the U.S. Nuclear Regulatory Commission, she is currently working on risk communication in support of risk-based regulation. Michael Corradini is an engineering associate dean of academic affairs and a professor of mechanical engineering and engineering physics at UW-Madison. His research interests are centered primarily in thermal hydraulics and multiphase flow. He emphasizes the areas of reactor operation, reactor safety, waste reprocessing, and recycle and risk assessment. Corradini is director of the college's Nuclear Safety Research Center. 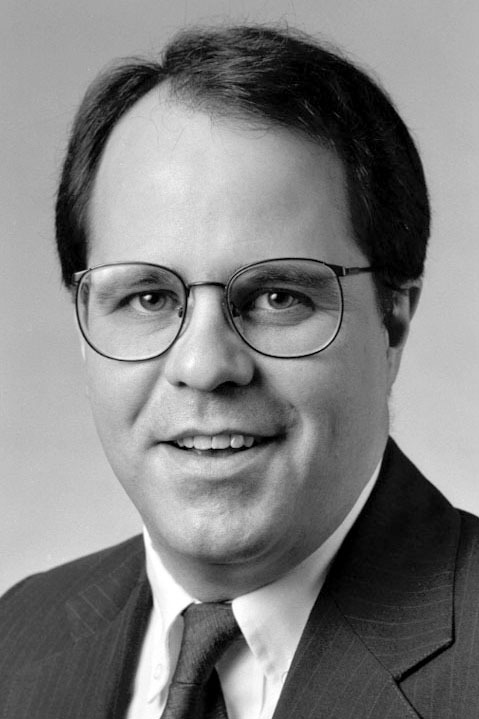 He received a University of Wisconsin Distinguished Teaching Award in 1996. Robert M. Fitch, an independent consultant in science, technology, and science education, recently retired as senior vice-president and chief scientific officer of S.C. Johnson Wax in Racine, Wisconsin. He has served as chair of the National Industry Council for Science Education and has worked with many agencies devoted to improving the quality of U.S. mathematics and science instruction. LeRoy Lee is executive director of the Center for the Advacement of Science Education at the Wisconsin Academy of Sciences, Arts and Letters. He is a past president of the National Science Teachers Association (NSTA) and currently serves as its treasurer. He has served on several National Science Education Association boards and has worked with state associations on board development and association management. Thomas A. Romberg, director of the National Center for Improving Student Learning and Achievement in Mathematics and Science in WCER and professor of curriculum and instruction (mathematics education), UW-Madison, has a long history of leadership in mathematics curriculum reform. His research has focused on young children's learning of initial mathematical concepts, methods of evaluating students and programs, and integrating research on teaching, curriculum, and student thinking. In 1997 he received the National Council of Teachers of Mathematics' Lifetime Achievement Medal in Leadership, Teaching, and Service. 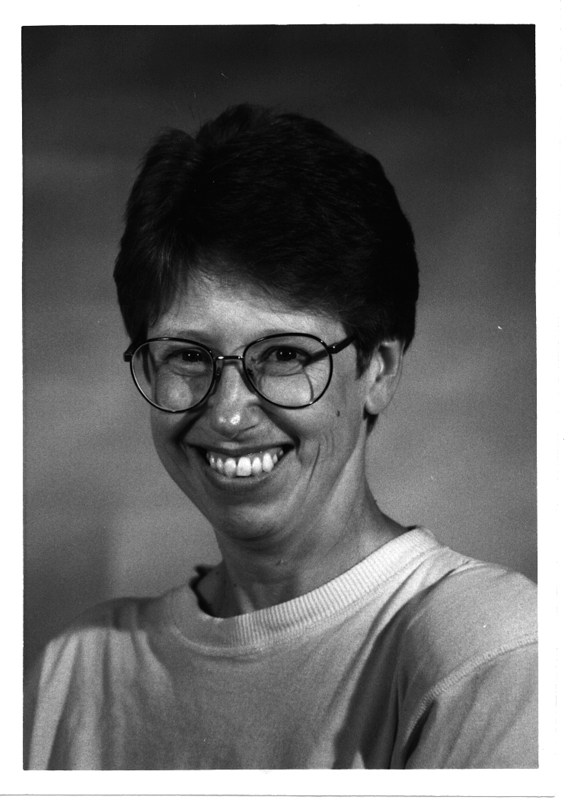 Pat Rossman, an elementary teacher at Conrad Elvehjem School in McFarland, Wisconsin, has 37 years of teaching experience in Madison and McFarland schools. The 1995 Wisconsin Elementary School Teacher of the Year, she is on the board of "Project 2061: Science for All Americans" at its McFarland site. She helped create national benchmarks for science, mathematics, and technology. Leona Schauble is an associate professor in educational psychology at UW-Madison and a cognitive developmental psychologist with research interests in the relations between everyday reasoning and more formal, culturally supported, and schooled forms of thinking. 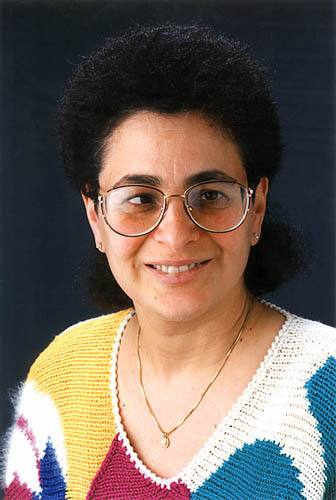 In 1991, she received a National Academy of Education Spencer Fellowship to investigate developmental changes in how children and adults understand the goals and strategies of scientific experimentation. Walter G. Secada is professor of curriculum and instruction at UWMadison and director of the Comprehensive Center Region VI. Prior to directing the Comprehensive Center, Secada directed a similar center for bilingual education. He also directed the Hispanic Dropout Project at the invitation of Secretary of Education Richard W. Riley. His scholarship encompasses educational equity, Hispanic dropout, school restructuring, reform, mathematics education, bilingual education, and multicultural education. Uri Treisman, director of the Office of Mathematics and director of the Charles A. Dana Center for Mathematics and Science Education, University of Texas at Austin, has professional interests in mathematics education and educational policy, with an emphasis on minority participation. A MacArthur Fellow in 1992, Treisman serves on the Advisory Board of the National Science Foundation's Education and Human Resources Directorate and on the Board of Directors of the American Association of Higher Education. Arthur B. Ellis, is Meloche-Bascom Professor of chemistry at UW-Madison and leads the Institute's College Level One efforts to reform math and science education at the university level. He has received NSF funding in the past to improve university courses in introductory chemistry and received a 1994 Catalyst Award for teaching excellence from the Chemical Manufacturers Association. In 1993 he helped develop a kit for modeling solid-state structures for science and engineering classes. He has researched the use of luminiscent sensors in materials science and environmental monitoring. William H. Clune is professor emeritus of law at the UW-Madison Law School, co-team leader of NISE's Systemic Reform Team, and a senior researcher with the Consortium for Policy Research in Education. His past research has included school finance, school law, implementation, special education, public employee interest arbitration, school site autonomy, effects of high school graduation requirements, upgrading of the high school curriculum in mathematics and science, and systemic educational policy. His present research includes "program adequacy" (the cost and implementation structure needed to reach high minimum levels of student achievement in low-income schools) and systemic policy in mathematics and science education. Sharon J. Derry, professor of educational psychology at UW-Madison, researches the application of cognitive science theories to problems in education and training. Her expertise includes cognitive-theoretical approaches to the study of human problem solving, including collaborative problem solving. Derry is leading the Secondary Teacher Education Project (STEP) Team. The STEP objectives are to develop and evaluate a state-of-the-art technology-based model for better educating future secondary teachers in cognitive-instructional science and its application in designing technology-based learning environments that promote scientific literacy. The project includes developing a major WWW resource to support collaborative, project, and case-based learning within secondary teacher education. Terry Devitt is the science editor for the UW-Madison's Office of News and Public Affairs. For the past 15 years, Devitt has covered the array of basic and applied sciences at UW-Madison. He has taken a special interest in coverage of developmental biology, molecular biology, astrophysics, chemistry, genetics, botany, zoology, engineering, environmental science, geology, physics, biochemistry and science education. He also edits and is the project coordinator for The Why Files, a popular and critically-successful site about science and technology published on the World Wide Web under the auspices of the UW-Madison Graduate School and in collaboration with the NISE. In addition, Devitt is an active free lance science writer and has contributed to such publications as Astronomy, Orion, the Los Angeles Times Syndicate, the Milwaukee Journal , the American Heart Association, the Howard Hughes Medical Institute and the children's science magazine Muse. Sharon Dunwoody is Evjue-Bascom Professor and director of the School of Journalism and Mass Communication at the UW-Madison. She conducts research on various aspects of communicating science to the public and teaches science writing, among other topics. She is co-team leader of The Why Files Research Team. William P. Eveland, Jr. is assistant professor in the Department of Communication at the University of California-Santa Barbara and co-leader of The Why Files Research Team. His research examines the process of informal learning from traditional and nontraditional mass media channels, with a focus on the roles played by internal motivations and elaborative processing of new information. His work for the Institute has centered on how adults navigate science information on the World Wide Web, and the process of learning from this new medium compared to learning via more traditional channels of science information. Susan B. Millar is director of the center for Learning through Evaluation, Adaptation and Dissemination (LEAD). Created in 1994, the center researches learning and educational reform processes across campus. As team leader of NISE's Formative Evaluation Team, she is helping the Institute improve its organizational structure, management, and communication through the use of evaluations that emerge from interviews with team leaders and others and from observations of NISE activities. Terrence S. Millar is team leader of the NISE's Graduate Science, Mathematics, Engineering, and Technology Education Team. He has been on the mathematics faculty at UW-Madison since 1976, is the associate dean for the Physical Sciences of the Graduate School, and served as NISE interim co-director from September 1996 to July 1998. Millar organized the NISE Graduate Education Forum, which was held in Washington, DC, on June 29-30, 1998. Gregory A. Moses is team leader of the National Partnership in Advanced Computational Infrastructure (NPACI) Supercomputer Project Team. He is associate dean for Research and Graduate Programs in the College of Engineering and is professor of engineering physics. His research and teaching interests are in the area of computational science—the use of computers to solve complex problems. Senta A. Raizen, director, National Center for Improving Science Education, Washington, DC, is author of reports on science education in elementary, middle, and high school and has written books on science education, preservice education of elementary school teachers, and technology education. She is an advisor to the National Assessment of Educational Progress, the National Goals panel, and several international assessment projects. Raizen directs NISE's Interacting with Professional Audiences Team. Norman L. Webb, senior research scientist with the Wisconsin Center for Education Research, is a mathematics educator and evaluator who is co-team leader of the Institute's Systemic Reform Team, rethinking how we evaluate mathematics and science education, while focusing on the NSF's Systemic Initiatives reform movement. His own research has focused on assessment of students' knowledge of mathematics. Webb also directs evaluations of curriculum and professional development projects. Copyright (c) 1999. The University of Wisconsin Board of Regents. All Rights Reserved.